One of the happy moments of life is when you sit down to eat, it gives you a little time to think about yourself, and some other things in life. And also there are several ways you could enjoy that meal, free with thoughts, especially negative thoughts. So we will expose the secrets behind an enjoyable meal to everyone today, and all we need from you is to read and practise and then come back to tell us if it worked because fortunately we really belive it's gonna work out for you today! A meal is meant to be enjoyed not to frown while taking the meal everyone is expected to be happy while taking a meal, no matter how the meal tastes, as long as you are willing and ready to enjoy the meal, I trust my judgements, you will enjoy it! * When you enjoy a meal and allow yourself to be free of every work thoughts, feel the sweetness of that delicacy you are participating in. If you are having many thoughts and thinking about many things that happened at work, or at your business areas, it will worsen the taste of the meal, if at the meal doesn't taste good to your liking. * This is the best way to enjoy a meal, And Secondly, If you wanna enjoy a meal, you must have to, first of all, take a glass of water before starting to take any meal at all. You must not have annoying discussions while having the meal if at all you should talk. * If you are a busy personnel in the office, anytime you wanna take a meal, try to switch off your phone to avoid embarrassing calls that may warrant of losing appetite for that food/meal. 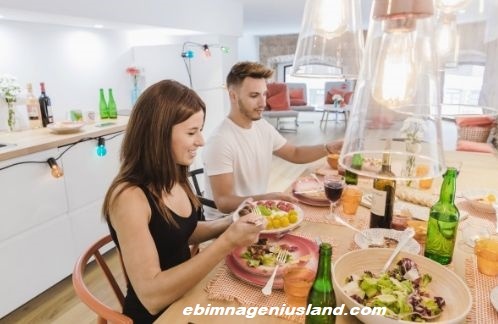 * Discover the best song that makes you happy, listens to eat while eating any meal, it will help to make the food sweeter than it was ought to be. * Learn never to be making calls while eating, no matter who's calling, unless when it's urgent. 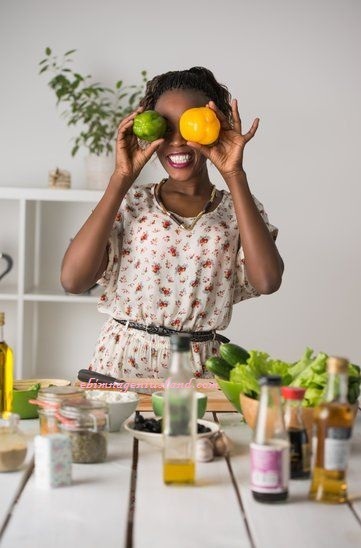 If the call is a pleasurable call, don't pick it, so that you will laugh and pepper will catch your throat, which will cause you to end up not enjoying the meal at the moment. * A meal is meant to be enjoyed, it's meant to be happy while taking them. Though sometimes, when the food prepared tastes good, it makes the meal, more enjoyable, but when the food prepared are not really sweet to your taste, make yourself happy to enjoy the meal. Always remember that Your meal Worth It!!! Beautiful post talking about enjoying meals! Of a truth You hit directly to the head of the Talk using a big hammer! What a good point!